Share The Human Rights's EPK! Submitted by admin on Sun, 2008-03-30 11:16. While the great white north may not ring out as the Mecca of modern reggae, a driven and dedicated few have been working to change this. One such noteworthy group of mod roots rock crooners, Friendlyness and the Human Rights have risen like a phoenix from the ashes of the largely defunct Toronto reggae scene to spread the principles of Ras Tafari and their timeless messages of joy, love, and hope. Paul Waldron caught up with lead singer/chanter and D.J extraordinaire Friendlyness as the band prepares for a busy March starting with a show opening for rockers legend Gregory Isaacs at the Phoenix on March 10th and continuing with appearances at the Orbit room on March 11th and Sneaky Dee’s on the 30th. Paul got some insight on the band, reggae and the future of the two. Really, what is the Toronto Reggae Scene? Personally the only venue I’ve come across is Thymeless in College Street. It’s really fragmented these days since a lot of the old venues that were receptive to live reggae have closed. Back then there was Bamboo club and the Jerk Pit and promoters and sound systems like Jones and Jones and King of Kings. Nowadays the only venues are El Mocambo and Lee’s palace. Even then you only get in if your band is known, so a lot of Toronto reggae artists don’t play out that much. That being said, big up [to] Brown Eyes Entertainment. They’re promoters who are responsible for bringing a lot of the larger international acts to Toronto. They did the Capleton and Collie Buddz show and the Beres and Marcia Griffiths one as well. What avenues are there for the artists and bands to gain some exposure? Not many. For example there was a website devoted to Canadian reggae. It started out being free for the artists to post their concert dates but after a while the owners decided to charge for the service and so a lot of the smaller artists stopped posting. What about corporate sponsorship for shows and events? In the reggae world that’s nearly unheard of. With a lot of the promoters gone there isn’t really any one organizing force to approach. Businesses and the smaller independent artists tend not to do that on their own. On a more personal note, why a career in music Friendlyness and more importantly, why reggae, why not pop or some easy sell? Why music? No choice. Music was born in me and I truly know that music is what I was put here on this Earth to do, whether it's on the stage leading the band, playing every instrument on a track at the studio, or [getting] behind the turntables or on the mic at the club. That's just what I do. Who are your influences, spiritual and musical? My spiritual influences would have to include JAH the Almighty and all His prophets and prophetesses. Iyesus Christus the Nazarite, and Haile Selassie the First. I would also have to say my Mother Marjorie and my Dad John and my daughter Elizabeth and my son Daniel. Bless up Zeeny! How did Friendlyness and the Human Rights come to be? 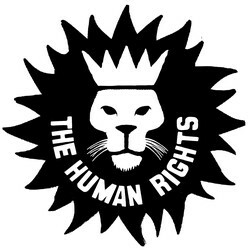 I've been a member of several Reggae bands here in Toronto: Revelation, Culture Shock with Whitey Don, The Hit Squad, and more recently Truths and Rights. I was even a member of Raggadeath with Michie Mee. This is the first time I've actually put a band together for our own project. We were even considering the name “The Friendlyness Project”, but we wanted something more serious: Human Rights. JAH works. We started playing music together in October of 2007, so it's a relatively new project, but I've been with Isax and Bernie Pitters for many years. I was working on Queen St West one day when Eric (our drummer) came up to me and said, “Hey, I know who you are, when am I going to get a chance to see Truths and Rights perform live?” I told him that Truths and Rights had been out of commission for a while but that I was thinking of starting a new band. He told me that he jammed with a really cool bass player (Tyler) every week, that they love Reggae and they even jam out to a couple of riddim tracks from the Truths and Rights CD. I started coming out weekly and found out that Graham, who lived in the same band house as Eric would be interested in playing pick guitar for a Reggae unit after seeing the Deep Roots/Sattalites hybrid band at the Orbit Room on a Tuesday night. I was looking for that pick guitar sound. [It’s an] integral part of our sound. I've been working with Isax (sax and keyboards) and Bernie (keyboards) for years so we asked them to join and Eric said he knew a percussionist, Brandon, who was into it. This is the debut full length album from this Toronto, Canada based outfit - but all the members are vastly experienced members of the city's music scene and it most definitely shows. The sound is a distinclty individual take on classic rasta roots reggae, with plenty of positive messages over one-drops, but one which can also incorporate ska, some inventive dubs, nyabinghi and even a little jazz - whilst the first few bars of the album have a pronounced African feel. Then again, 'Blaze, Blaze" is bang-up-to-the-minute dancehall. Toronto musician, vocalist and selector Friendlyness has been a core contributor to this city’s reggae community for 20 years. Releasing music since 1989, the Kensington Market fixture has been a key part of projects including Revelation, JAH, Culture Shock, Truths and Rights and the infamous backing band Hit Squad. He also performs as a drum ’n’ bass MC, co-founded the roots party superheavyREGGAE and, in 2007, launched his current band, Friendlyness and the Human Rights. In less than three years, they’ve opened for the likes of Gregory Isaacs, John Holt and The English Beat, and now celebrate the release of their debut CD, One Thing. One More Draw - released in the late Fall of 08, currently being played on CKLN, CIUT, CHRY in Toronto. One Thing - Released June 2010. Select tracks are featured coast to coast on CBC radio as well as campus radio. 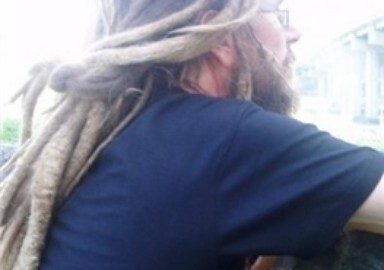 In the fall of 2007, drummer Eric Woolston teamed up with Friendlyness to form Friendlyness and the Human Rights, a modern roots reggae band that aims to spread messages of equality, love and human rights. Friendlyness, a Canadian reggae heavyweight, has been on the scene for more than 20 years and has recently joined the ranks of Can-Rock legends Big Sugar. Over the last four years Friendlyness and the Human Rights have been honoured to warm up the stage for reggae icons Gregory Isaacs, Gyptian, Beres Hammond, John Holt, The English Beat and Clive Chin. They have toured western Canada twice and have been featured on numerous major festivals including the Calgary Reggae Festival, Toronto's Irie Fest, Jambana, Nathan Phillips Square, International Festival of Beer and the Winnipeg Ska/Reggae Festival. Their debut album One Thing has garnered international acclaim and their recent singles have been played from coast to coast. "One Thing will surely lead to another: international acclaim"
"Classic rasta roots reggae with plenty of positive messages"
Set can vary from 20 minutes to an hour and a half. But we're not into the scuffling...sight? It's just Ras Tafari love to all...well then. What can i do to earn some money right now? What I'm gonna do to earn some money right now? Try get this straight and don't confuse it, You see the wickedness tool, Rastaman not goin' use it. All me want is to pay my rent and we no want no skyscraper.